TAULIHAWA. It was once an important trading town along Indo-Nepal border that handled export of grains and forest products southwards and import of consumables from there for supply to the hinterland beyond the Chure hills up in the north. Completion of the Butwal-Kohalpur sector of the East-West Highway in the 1970s killed the exchange activity for good. Agglomeration effects—trading flourishes when different enterprises compete, complement and cooperate in ever larger numbers—have since transformed the Butwal-Bhairahawa commercial corridor as the main economic driver of the region. The township has since fallen off the map altogether in the literal sense of the term. It has disappeared from Google Maps, which calls it Kapilvastu. If the purpose of renaming is to attract tourists to the capital of the Shakya King where Prince Siddhartha spent his early years after being born at Lumbini Gardens about 30 kilometers away, the strategy isn’t working. Few visitors take the trouble to explore ruins at Tilaurakot. The functional utility of Taulihawa as a service center is purely local. 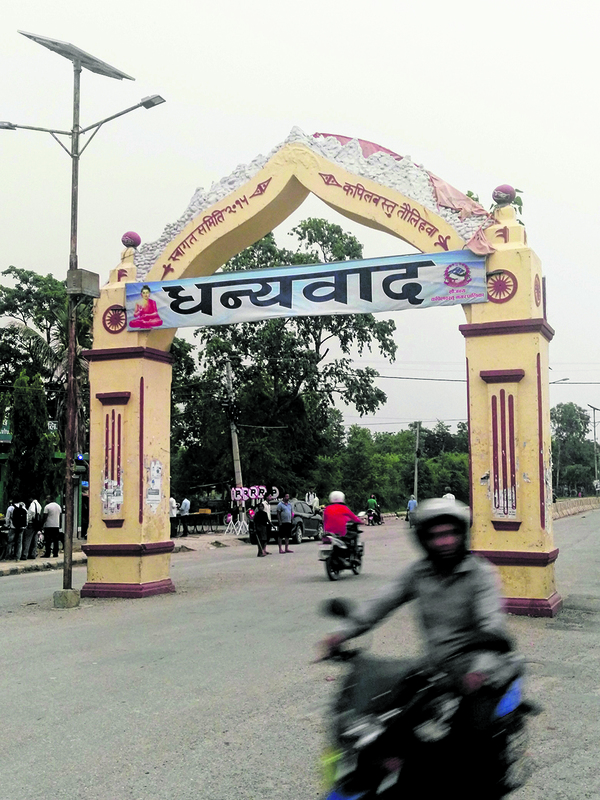 The town is the district headquarters of Kapilvastu and boasts of an army garrison in a dilapidated condition. A few ATM booths seem to have finally made their way into municipalities of Madhes. The bazaar beyond the Welcome Gate to the old town is stocked with Chinese consumer durables, Indian textiles and plastic utensils molded in Nepal. Like most other towns in Madhes, life moves at a languid pace. In between Friday prayers and preparations for Iftar feasts, streets of Masjid Tola lie deserted. A Maulana suspiciously eyes a visitor trying to photograph the locked gate of the Islamic Library. Some burqa-clad women seem to be doing last minute shopping for Eid ul-Fitr celebrations near the Mahadev temple where a caretaker is hosing the steps leading up to the shrine clean in anticipation of weekend devotees. The lotus pond next to the Haat has turned into a garbage dump. The original Land Revenue office across the road has begun to crumble. The Land Management office, on the other hand, is in the process of preparing its spanking new premises. Empty beer bottles are stacked high near an eatery close by. A youngster atop a mango tree is trying to check if some fruits are ripe enough for picking. A holy cow decides to take a dump before leisurely sitting down in the middle of the street. Motorcyclists skillfully skirt her tail and speed away regardless. The experience after about two hours of strolling in the simmering heat of pre-monsoon afternoon and chatting with vendors, shoppers and onlookers on the way is so idyllic that it breaks one’s heart to talk politics even at a teashop. Political contestation, however, is an inescapable component of everyday conversations. The state apparatuses and the chatterati in Kathmandu are one in the assumption that the contested constitution and orchestration of elections for all the three layers of government have settled all outstanding issues. All it takes is a stray sentence to question the apparent calm. The discussion begins with a provocative question of an octogenarian: How long will Premier Khadga Prasad Sharma Oli last in his post? Everyone present has an explanation to offer to make the case that the present dispensation was going to rule for full five-year term. “In that case,” the Madhesi elder sighs before speaking up, “this country has little hope of salvation”, before standing up and walking away. Startling as it may seem to observers from outside, quite a few young activists in the Awadh heartland seem to be rather happy that the ‘One Madhesh’ balloon that the likes of Upendra Yadav and his fellow-travelers had pumped up in 2007 has finally exploded. “If a single Madhesh is to be the goal, then the only path that leads there is that of CK Raut,” a student of law articulates in a definitive voice. 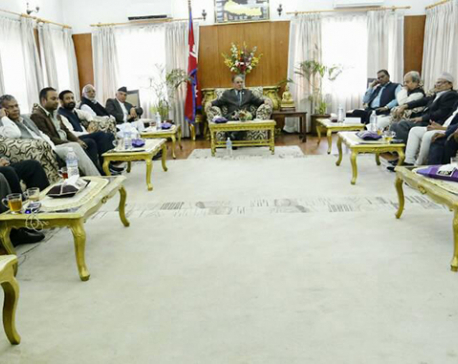 Alternatives for ambitious Madhesis are diminishing by the day as the engines of ‘prosperity politics’ trundle along in Singha Durbar. It doesn’t take a genius to figure out the political economy of prosperity. It implies the supremacy of small political elite in the politics of the country. Even when freely elected, such a group carries all the risks of turning into an authoritarian oligarchy. A reigning oligarchy needs moneybags to fund its ambitions, which then results in the emergence of a plutocracy. Inherently insecure, plutocrats habitually park their wealth in tax havens. The country falls further down the misery index as a small middleclass becomes skillful purveyors of dreams. Whether in the name of doing in a decade what others had taken a century to achieve or marching towards the Asian standards full steam ahead, the national ambition of ‘Politics for Development’ throughout the Panchayat Era was an innovative template of prosperity politics. It produced crony capitalism. It destroyed agriculture. It cleared dense forest at an alarming rate. And in order to hide its handiwork, it manufactured the consent that being a nationalist was the highest goal of citizenship. The Mahendramala Generation—named after state-sponsored textbooks that sought to produce educated subjects loyal to the crown and born largely between 1960 and 1970—were taught to believe, accept and commit rather than doubt, question and reject. This is the cohort that still sets the standards of permissibility in the national discourse. It has decided that all forms of dissent are sacrilegious and must be fought with all its might. It’s not for the lack of courage that no intellectual equivalent of Émile Zola has come forward to exclaim ‘J’accuse…!’ and speak for popularly elected parliamentarian Resham Chaudhari of Kailali. It’s just that the Nepali intelligentsia has decided on its own volition that the alleged offense of the Tharu politico is somehow much greater than, say, Maoist Supremo Pushpa Kamal Dahal who can be implicated in far worse crimes such as the manslaughter of Krishna Mohan and Nudup Shrestha couple. A day of forced closer of operation saves for-profit school fraternity millions of rupees in terms of reduced expenses for lunch, transportation and other service costs. 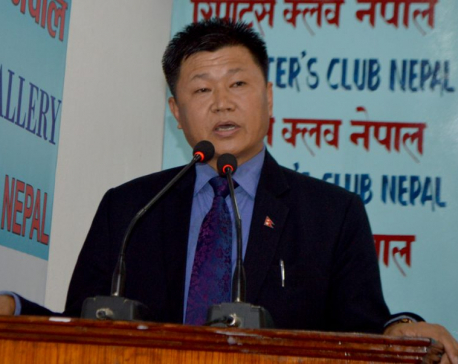 Netra Bikram Chand ‘Biplav’ and his henchmen keep enforcing arbitrary closures with such an unfailing regularity that it makes one doubt whether these leftover Maoists are in cahoots with profit-sector school entrepreneurs. Despite that, mediapersons diligently cover shenanigans of Biplav with barely concealed admiration. Journalists seldom show similar courtesy to CK Raut who has pledged to wage his struggle for independence through peaceful means. Through deft and relentless misinformation, the public opinion has been manipulated to purvey the belief that nationalism is somehow a higher value than democratic practices or even humanitarian concerns. That could be one of the reasons behind obduracy of some members of the Nepali intelligentsia that are egging Premier Oli to pledge the economic, ecological and cultural future of the country to the Chinese for trans-Himalayan railway link. 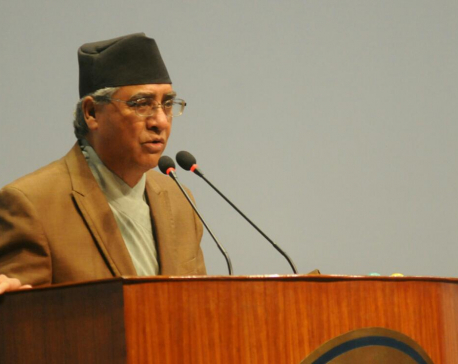 There were prominent journalists that editorialized about trees after Chairman Gyanendra’s February First adventures in 2005 when newly-minted Editor Generals in military fatigues were deputed to newsrooms. They write about importance of greenery and open spaces these days. Plants, parks and playgrounds are undoubtedly important for human happiness. Additionally, such issues don’t carry the risk of being branded ‘anti-national’. There is a reason the state hasn’t yet felt the need to stifle the Nepali media. With a loyal corps of journalists manning factories of manufacturing consent, the advantage lies in ensuring complete freedom of the pliant press. Critics display their courage in censoring stray politicos or errant public officials while they maintain a subservient silence about the nature of politics that produces such creatures in the first place. When prosperity is the primary objective, what’s so wrong deforesting Chure Ranges or denuding riverbeds of their sand and gravel cover? Profits shall come to Kathmandu; the ecological costs shall have to be borne by Madhesis downstream. No expert, analyst or opinion-maker worth his name—it’s completely a male bastion—has come forward so far to examine likely repercussions of a large-scale intervention like the proposed Madan Bhandari Highway in an extremely fragile ecosystem where most minor rivers that flow down into the plains originate. While leaving Taulihawa, a Madhesi Dalit activist enquires pessimistically whether there is any hope for people like him in this country. Zygmunt Bauman’s theory of liquid modernity comes in handy to evade his penetrating question, “all agreements are temporary, fleeting, and valid only until further notice”. This too shall pass.